Скин LFB non-default Silk. Глаза мои №6. Брови может быть вот эти: http://lessims3desubaxi.blogspot.com/2009/12/eyebrows-f-12.html. Волосы в Sim3Pack файле использованы стандартные ЕА, если вы хотите использовать те волосы, которые на картинках, то они от Peggy. 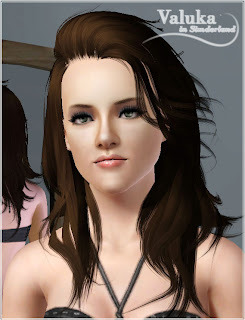 Skin LFB non-default Silk. Eyes by me №6. 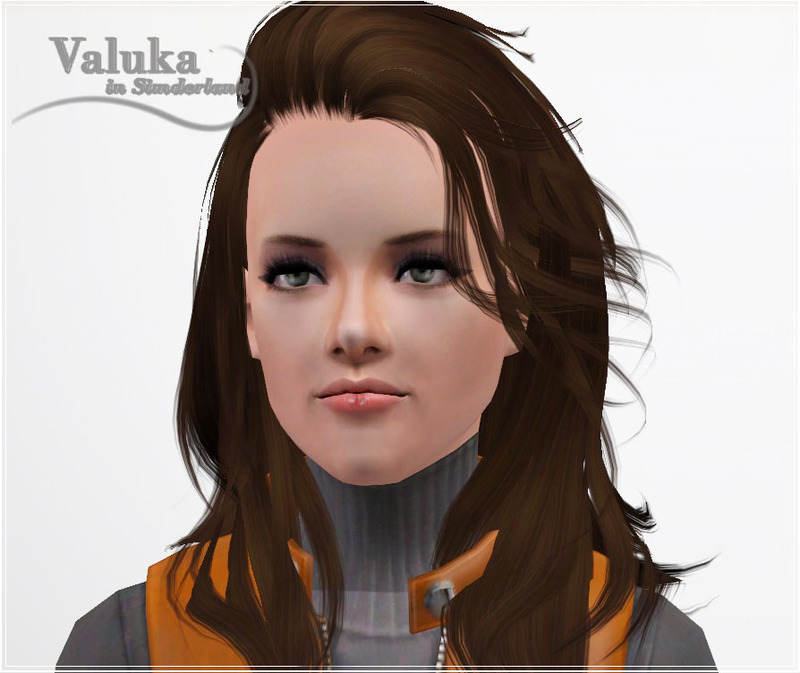 Brows may be here: http://lessims3desubaxi.blogspot.com/2009/12/eyebrows-f-12.html. 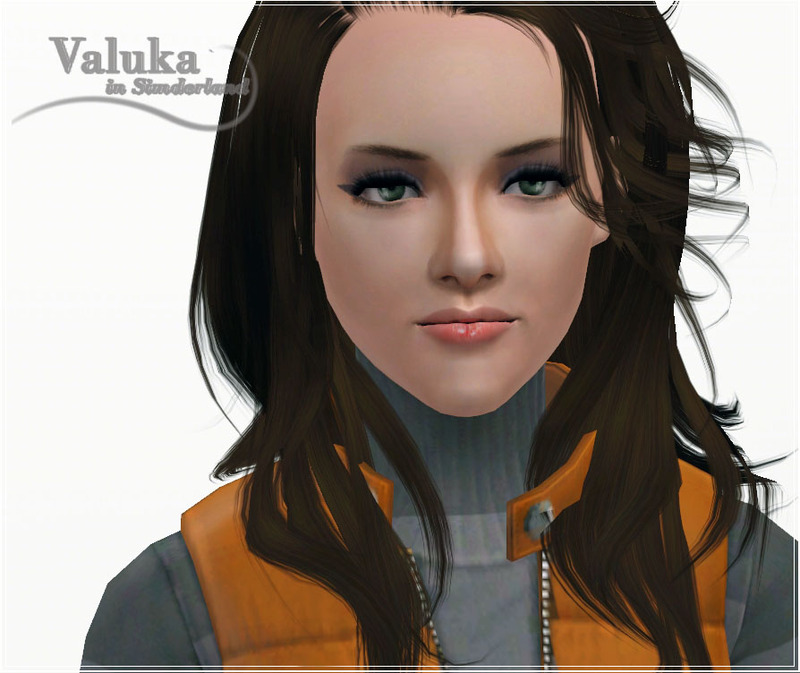 I used the standard EA hair in Sim3Pack file, but if you want view as the pictures the hair all by Peggyzone. Eye liner: http://www.thesimsresource.com/downloads/details/category/sims3-makeup-eyeliner/title/french-eye-liner/id/988496/, powder: http://www.thesimsresource.com/artists/Pralinesims/downloads/details/category/sims3-makeup-blush/title/pure-minerals-foundation/id/1000376/. miss VIP! Thanx a lot! I can't access 4shared, Valuka. Would you please upload it to a mediafire link? Thanks. I love your work. She looks so real. 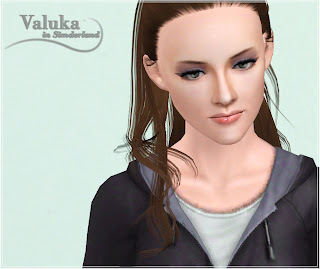 ladzylitz, you can download it at TSR too: http://www.thesimsresource.com/members/Valuka/downloads/details/category/sims3-sims-celebrity-female/title/-kristen-stewart-(v2)/id/1030858/. If you can't, ok, I'll do the mediafire link. 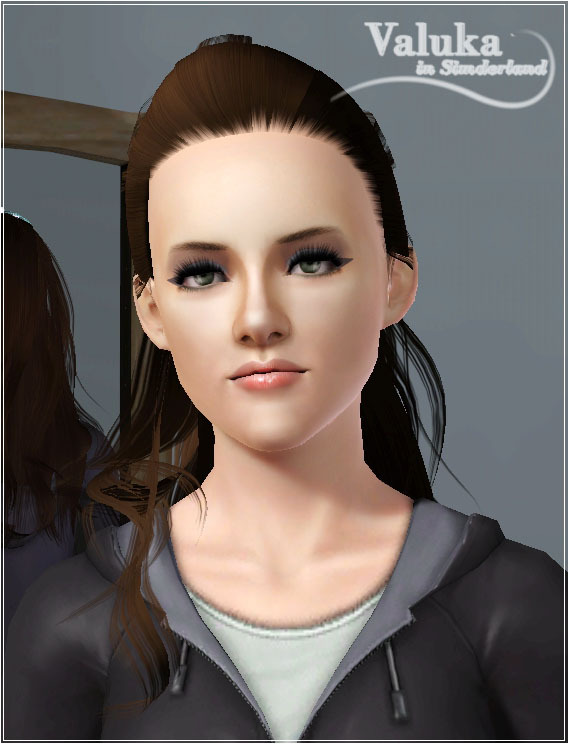 Can you PLEASE give us the link for her hair for the sleepwear & formal cause I looked for them at PEGGY and I coudn't find them so PLEASE!